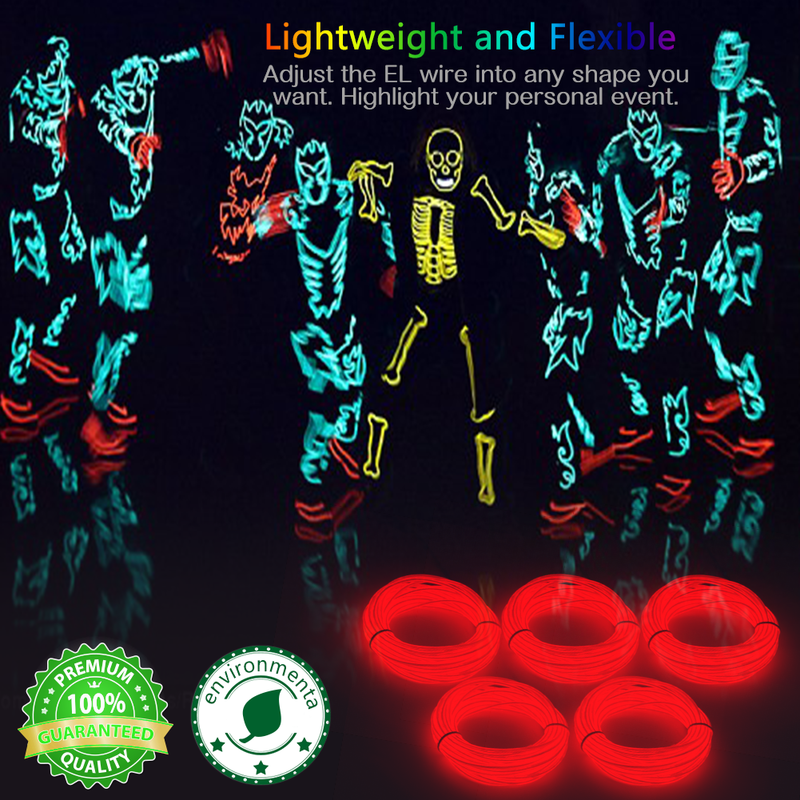 Neon Glowing Strobing Electroluminescent Wire: Great for parties, Halloween, raves, cosplay dress, Christmas, car, light signal and decorations. 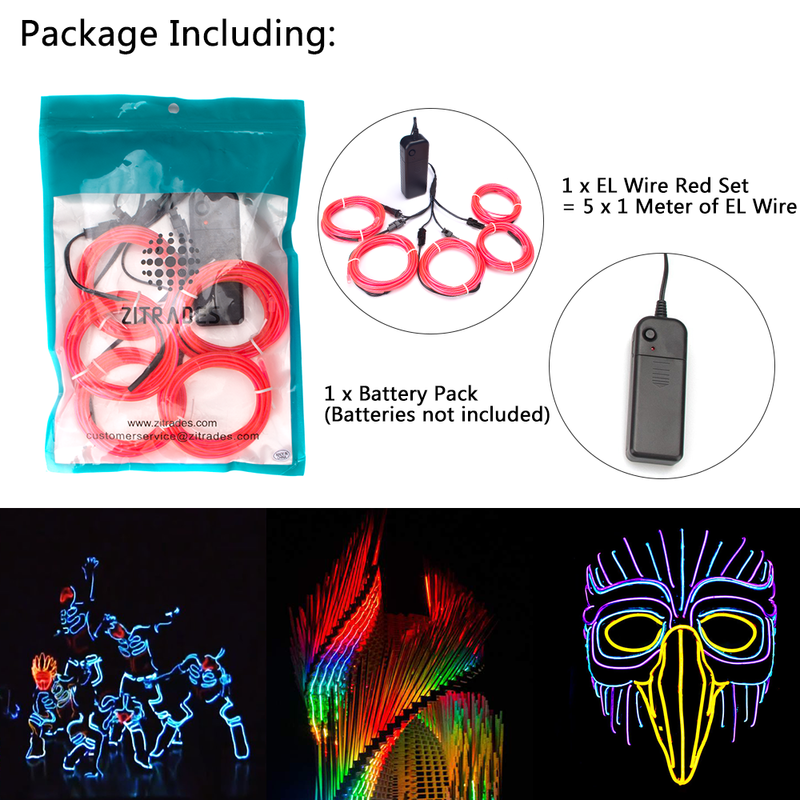 DIY Ideas: Having 5 separate strands of EL wire from one driver makes this versatile and opens up new possibilities for using this amazing glowing string. Battery Controller 4 Modes: Continuous on/strobe/blink and off, can easily switch mode by pressing the button. 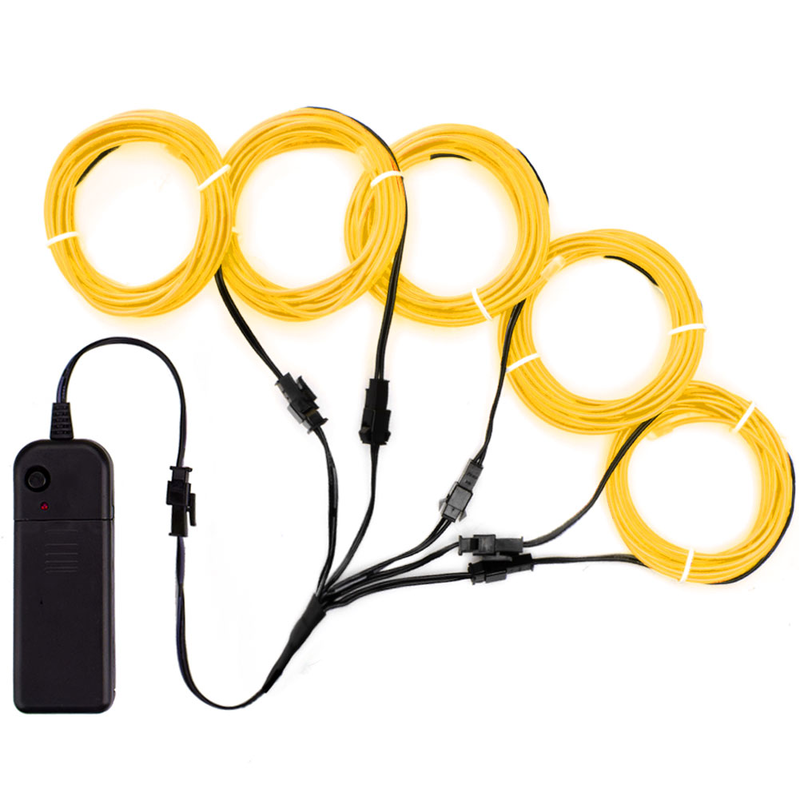 Outdoor & Indoor Portable: Powered with 2 AA batteries, convenient and fast, no extra wires or plugs needed. 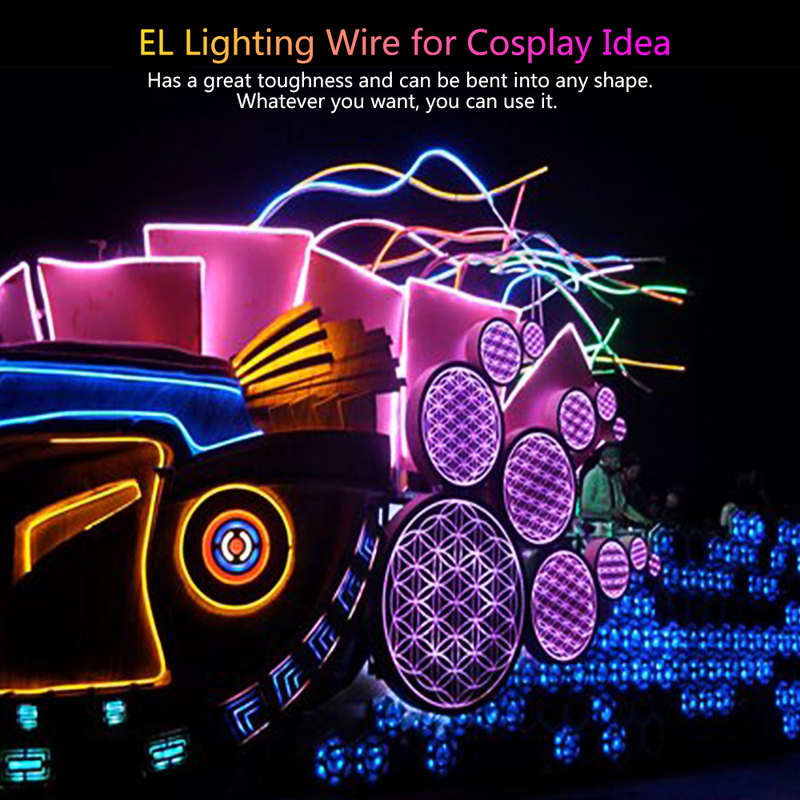 Making the EL wire light more portable and efficient. 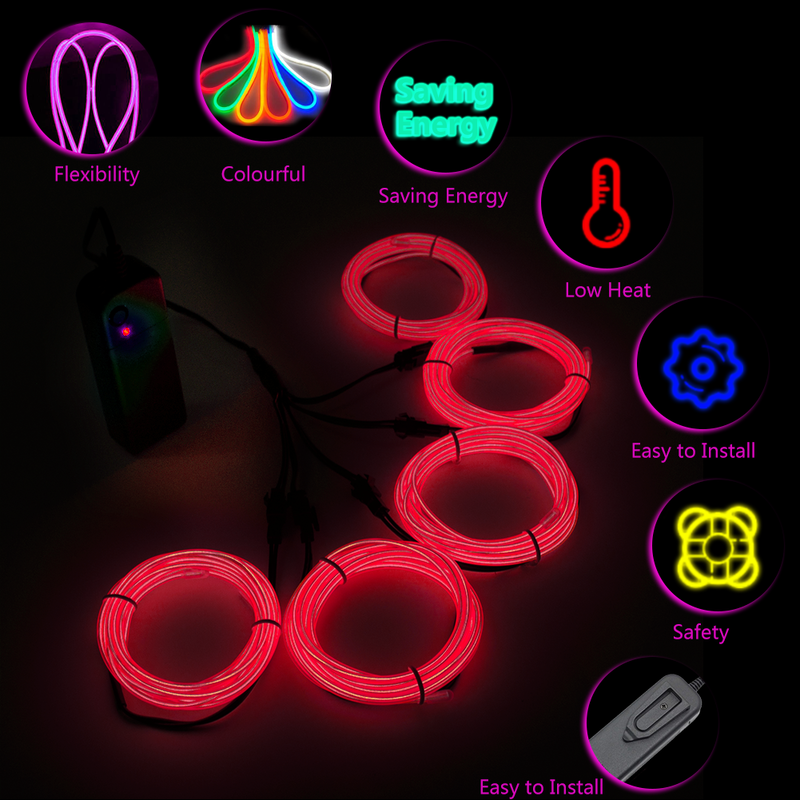 Eco-friendly & Safety: EL wire very bright, energy saving and low voltage power. No environment pollution, no heat radiation, light downy and no hurt eyes. Safety for children use. 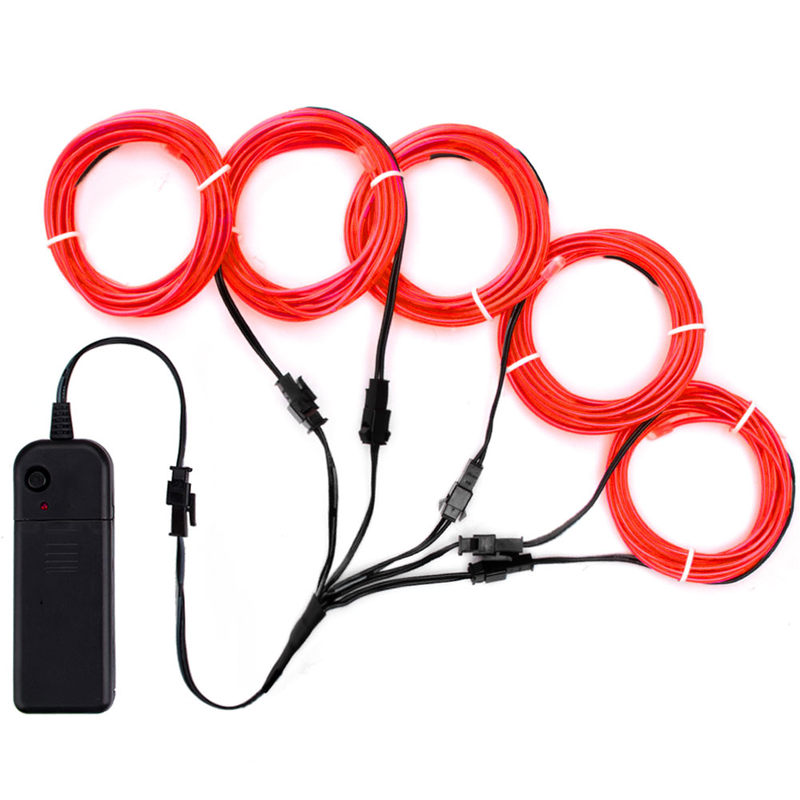 1 x Battery Pack Do The Inverters Emit Sound? 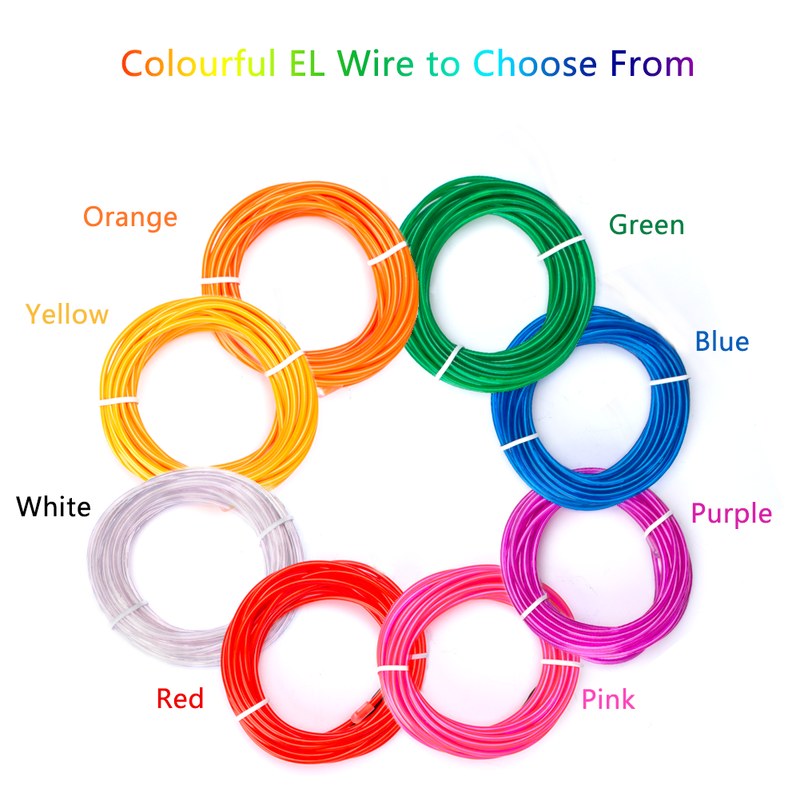 EL wire is operated by battery and can be reused again and again. 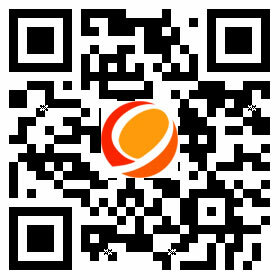 The inverter that comes along has 3 modes options. 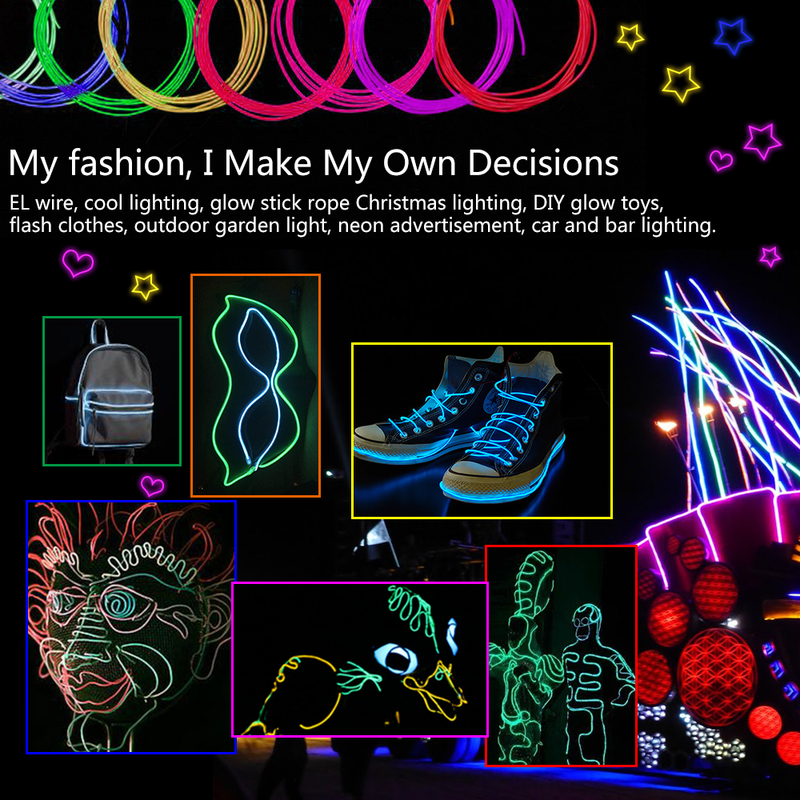 Use the strobe effect to animate your stick figure costume when you move.